Today we are going to see embedded LDAP in weblogic. 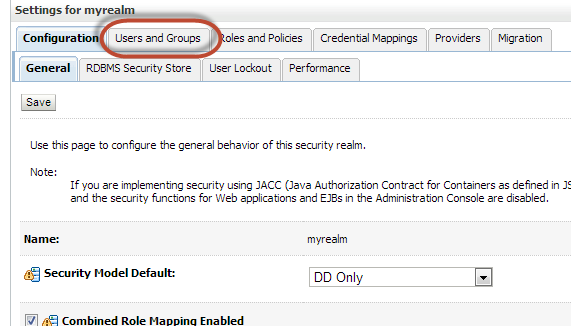 Click on Users and Groups: Which contains weblogic Users and Groups. If you need to create new user click on new and provide values. To view Groups click on Groups tab and edit as required. Embedded LDAP can maximum accommodate up-to 10K users, if it is more than that we need to go for other user store. 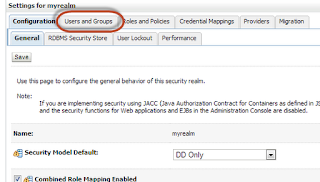 Embedded LDAP is Default Data Source for OAM.